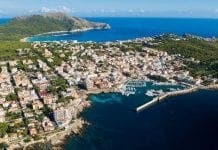 POOR train routes and inconvenient bus routes have caused traffic to increase over 40% in the last decade in the Balearics, while it has dropped by six percent in Spain overall. The population has only grown by ten percent in ten years, but with towns expanding and mobility a necessity, there are 40% more private cars on the road today than in 2008. Today, 70% of the workforce drive to their jobs, with those who walk, cycle, take the bus or train making up a small 30%. General Director of Transport Jaume Mateu is a strong advocate for updating public transportation around the islands. “We need a more global and flexible public transport network that allows for movements in different directions and not only from outside the city into Palma,” urged Mateu as he brought these facts to light in the Sectoral Mobility Management Master Plan. The train that runs from Palma to Inca and Manacor was supposed to have extensions to Alcudia, Cala Rajada, Santanyí, and ses Salines by now, as well a tram system in Palma. The report notes that taking public transportation makes for an average 40% longer journey, and that public transportation, especially the train system, is not a good replacement for a car. 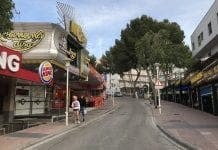 Mateu believes this problem could be addressed with more routes from around the island to Palma, more frequently and possibly run earlier and later. He is also clear that they do not have a good plan set for the future of public transportation, but they desperately need one. The government has admitted that transportation issues have fallen through the cracks as politicians focused on other problems and plans. The mobility plan of 2006, which focused on the train network as the future, is still being used today despite little improves to the lines. The plan for €1,800 million to be invested into the train lines, connecting all corners of the island. The metro system around Palma is the biggest addition over recent years, but with only 750,000 travellers a year, half of what was expected.